For those who cannot afford - or have no need of - the massive Retrospective ReFill, JP now has the main three synths from Retrospective available in seperate packages. Please note that these are the exact same patches as appear in Retrospective, only in Combinator format rather than NNXT: there is no new content. 143 classic digital presets from this 8-operator FM masterpiece, the last hurrah of Yamaha DX production. 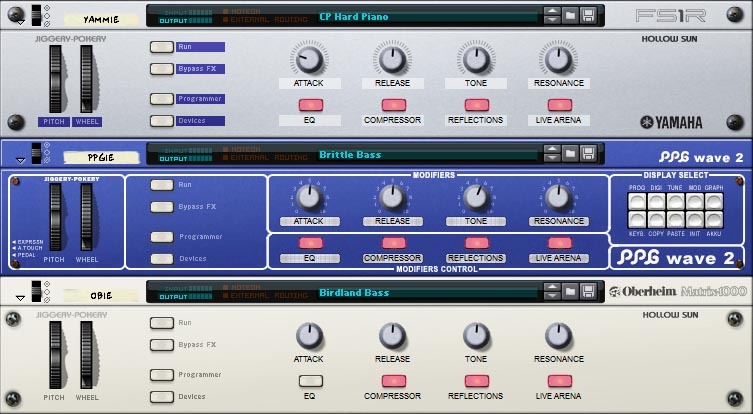 49 fabulous digital presets from the wonderful world of Wave. 114 analogue presets from the German monster.